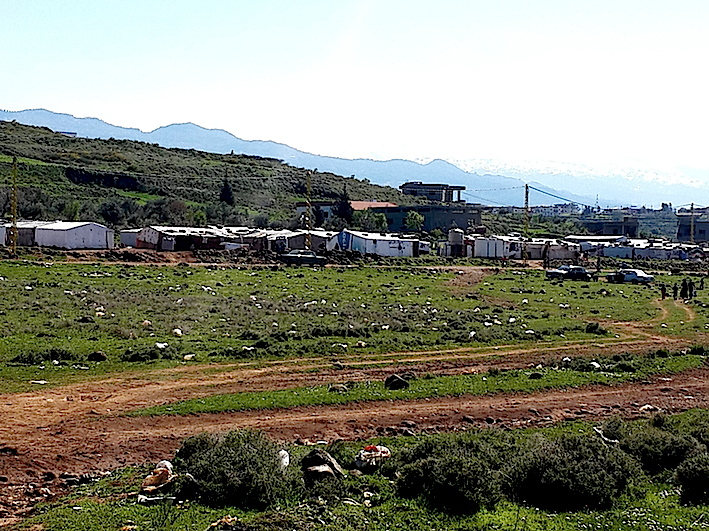 The Hedohumanic's Punctured Container | In communities hosting Syrian refugees, how bad are the Lebanese, really? 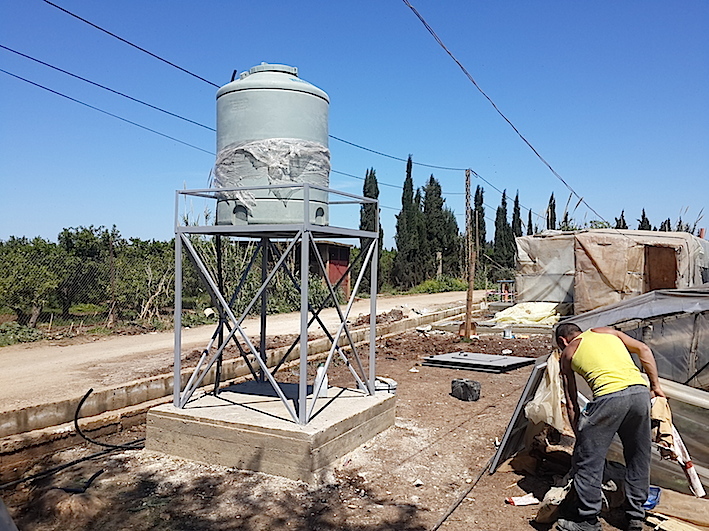 It is very trendy these days for donor countries, international NGOs, and the development world in general to fund and implement projects whose objective is to “reduce tensions between Syrian refugees and their local host communities, and to build the resilience of such host communities”. This is of course in countries such as Lebanon, Jordan, and Turkey, who have been bearing much more than their fair share of the burden of hosting Syrian refugees, particularly Lebanon and Jordan with their already very limited resources and significant problems. 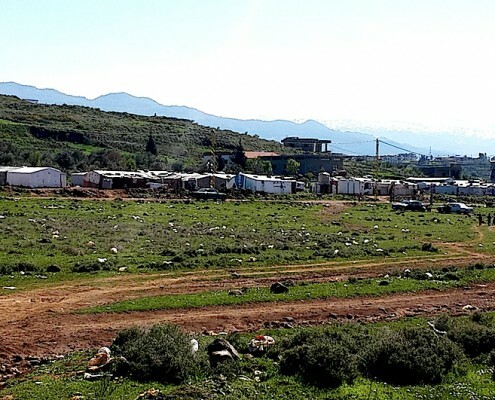 Depending on which sources are used and how the definition is tweaked, there are for example anywhere between 1 million to 2.5 million Syrian refugees in Lebanon alone, whose population of 4 million was already in bad economic conditions to begin with. This almost overnight increase of 50% in people in the country put enormous strain on infrastructure, water, electricity, public schools, rents, and of course jobs, which were already in very bad shape to begin with. This clearly led to tensions between Syrians and their host communities, especially that refugees tend to settle in areas that are already poor and struggling. 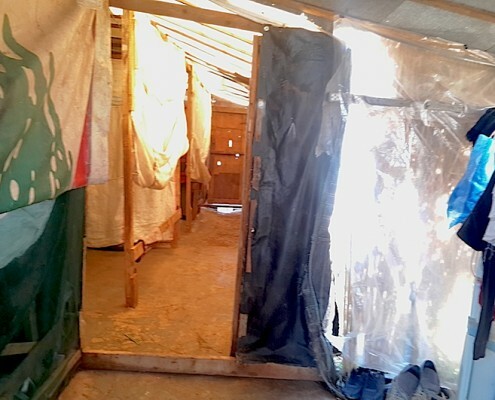 This was exacerbated when poor Lebanese in these host communities looked on as UN and other international agencies began distributing monthly aid in cash and food rations to refugees living in their midst, while their own living conditions were not much better and perhaps even worse. Subsequently, this led to the now widely-adopted narrative that development projects need to be funded and implemented with the objective of reducing the tensions between these two communities and creating (as any well-meaning conflict resolution expert would tell you…) joint benefits for both groups. There are two main groups who are skeptical of such projects and of this narrative. One is the pro-refugees group, who approach the problem from a humanistic rights-based perspective (and sometimes from a nationalist one, if they happen to be Syrian), and point out that the problems of Lebanon are far bigger and go back far longer than when the influx of refugees happened. The country’s problems, this group argues, are rooted in corruption, bad governance, lack of rural development, and so on, and they add that if the country had its act together it would not have been affected by the refugees as much. This is a partially valid point, but is not totally fair to the country, as clearly its internal problems should not be an excuse for the international community not to help it shoulder this enormous burden. The other skeptical group is those who question the intentions of the international community that seems intent on doing anything possible to increase the integration of the refugees in their communities, and to give them the minimum that will keep them put where they are. 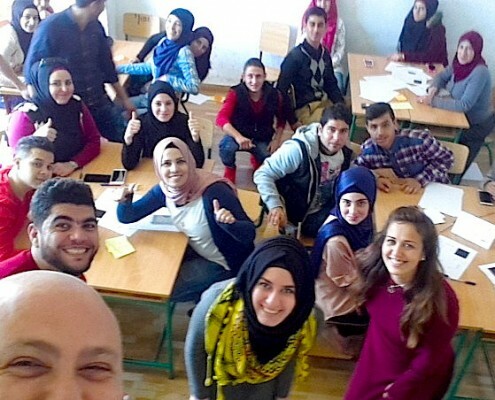 The skeptics claim this is an undeclared plot to keep them in Lebanon (or other host countries) as long as needed, possibly indefinitely, while preventing them from seeking to immigrate to Europe or the West in search of new beginnings, creating in the process “problems” that Western societies are not prepared to handle. This is of course quite plausible, as development and related funds rarely happen in a vacuum or in a purely altruistic context. I myself have been involved in several such projects, meant to create win-win solutions and reduce tensions. However, they have all been from the strategy and project design perspective, often sitting in Beirut and relying on second hand resources, superficial visits to camps, and talks with a few possible beneficiaries to design the program. 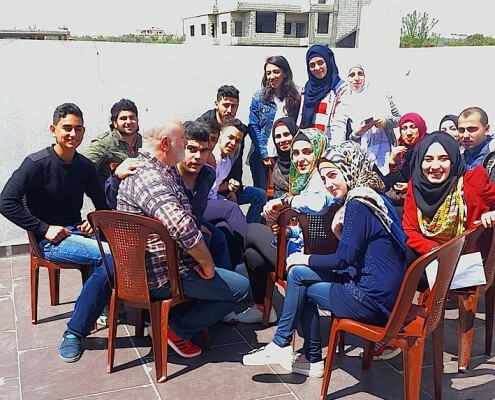 So when an opportunity came up to take on an assignment that would involve long term direct engagement with Lebanese and Syrians living in Akkar, North Lebanon,I accepted despite the significant time commitment needed. It was an interesting opportunity to see these communities in more depth and over an extended period of time. 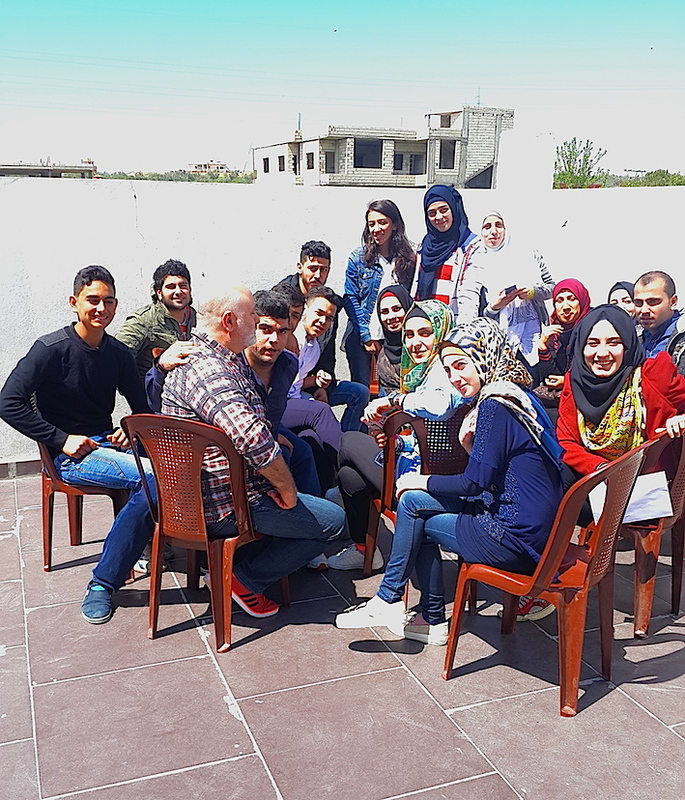 The project involves delivering long term training to groups of Lebanese and Syrians, in total approximately 45 individuals, on what it means to be a social leader, and on creating joint community projects and potentially social ventures. This meant spending on average 3 to 4 days a week for two months in Akkar. It was a good opportunity for me not only to get to know the target beneficiaries up close, but to also get my own answer to the question of how much tension was there really between the two groups. Is it an exaggerated story amplified as an excuse to receive funding and implement development projects? Or is it real? What I saw in the training sessions did not live up to the drama. At worst, the two groups in their regular lives avoided each other and any interaction. But there were cases where the people participating were visibly friendly with each other. Sure, in discussions and debates during the training issues of scarce jobs being taken over by some Syrians did come up, as well as issues of what rights refugees should or should not have. But these debates were not more tense or confrontational than any other debates on any other dividing topic. 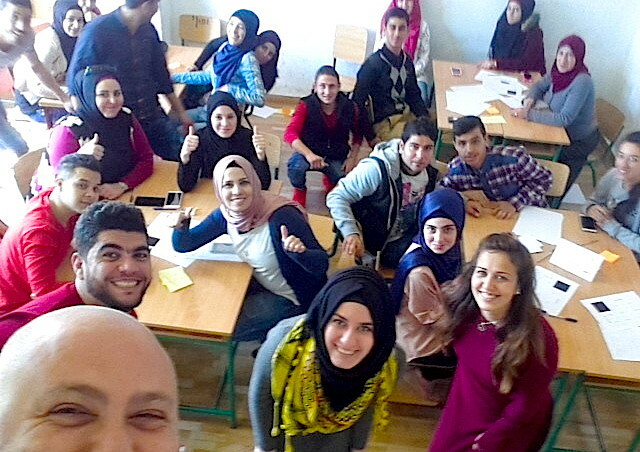 In fact, it was clear that there were much more significant dividing lines and work that needed to be done in these underserved areas on issues of religion, gender equality, and family disputes than on the Lebanese/Syrian one. Sure there were tensions and incidents of violence one would hear about between the two groups, particularly between young men. But those were not more in proportion than incidents of violence along all the other dividing lines. 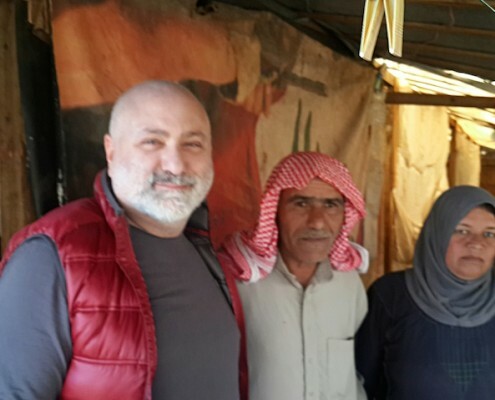 Also to be fair, I was drawing this conclusion from Akkar, an area where Syrian refugees shared for the most part the same religious and political sensitivities as their Lebanese hosts, which makes blending in a little easier than in other parts of the country such as parts of the Bekaa or the South, where this was not the case. But the point remains that this Syrian/Lebanese dividing line is just one of many others, all of which are of equal concern. 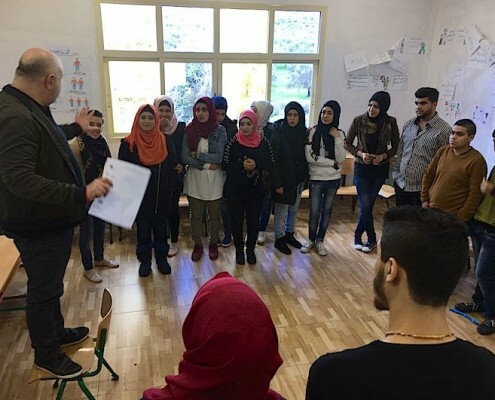 To check this further, I decided I must not only rely on refugees who had settled in villages and small towns and were, relatively speaking, leading a slightly more dignified life that allowed them to attend trainings such as the one I was doing. 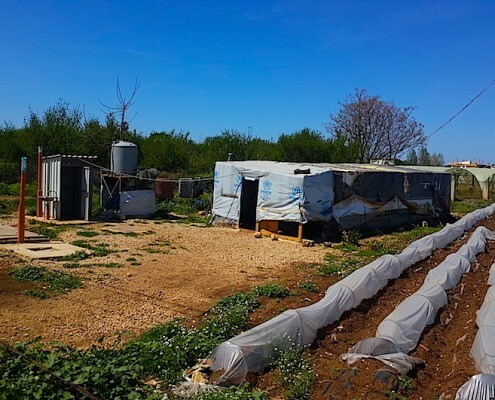 A visit to camps and informal settlements, spread all over the agricultural land in Akkar, would give a more rounded picture. 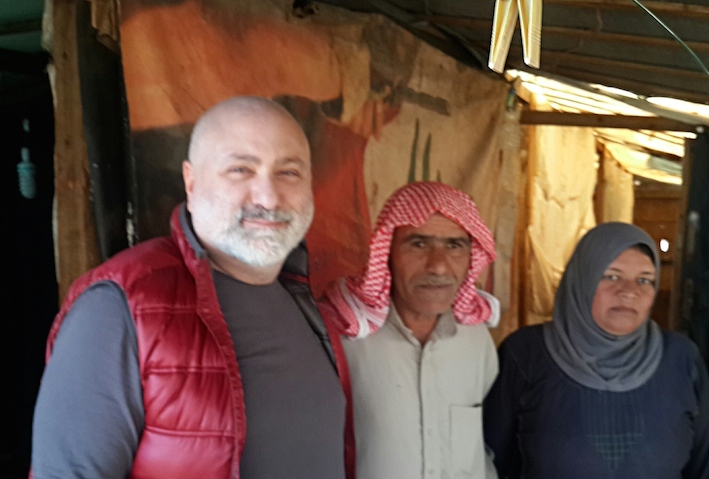 And so I headed for a walking tour among those tents, and started random conversations with their inhabitants and the Lebanese who lived close by. 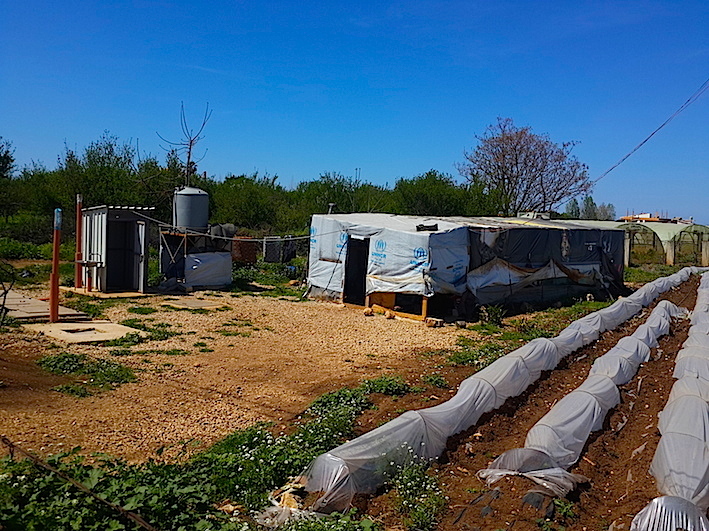 It turns out that most of these poor Lebanese farmers are much more welcoming and generous than media and exaggerated stories might sometimes make them out to be. It is clear here that misery empathizes with misery, even if might perceive it as encroaching on its territory. 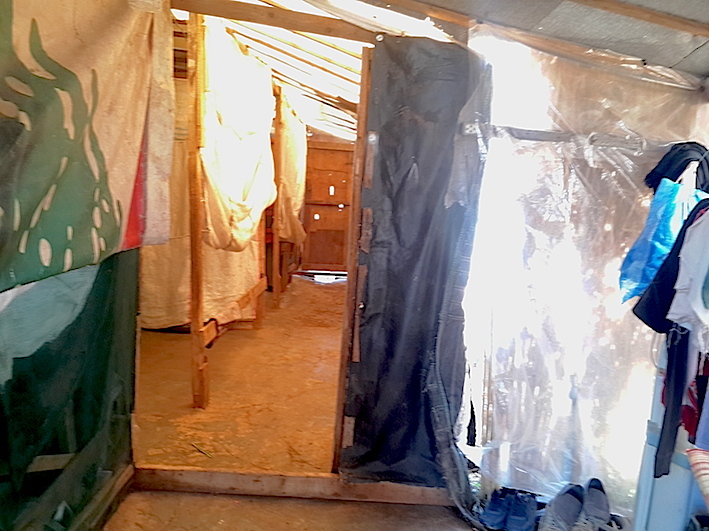 For the most part, the Lebanese host communities have done what little they can to offer help to those living in makeshift tents on their lands or on lands they were working. 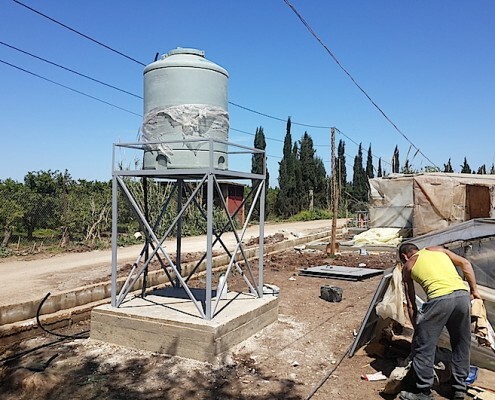 They were offering them electricity from their generators or water from their wells, even as the convoys of various UN agencies and other NGOs came up regularly to offer assistance to them but not their Lebanese neighbors, who while equally poor, were not technically refugees! Some of the Syrians I spoke to in these camps narrated their stories and their suffering, which clearly is heartbreaking. But again, their stories of human suffering right now, in their immediate circumstance, and if one were to put aside for a second the traumas they have suffered in Syria and their unclear future, were not much worse than those of many people around them. Most seemed content to stay where they are for the time being, until a better option came up or until they eventually manage to get back home. But I did not sense any urgency to do so. Just to clarify, I am not in any way taking lightly the extremely bad conditions in which they are living, or the hardship on all levels including emotional and psychological. All I am trying to say is that their conditions did not seem significantly worse that many other Lebanese around them, and that for the most part they are not really made to feel specifically unwelcome or are harassed, especially in this area, like many stories would have us believe. In the end, the takeaway is that Lebanon, regardless of its own disastrous issues as a country and as a political system, cannot be expected to take on this huge burden unsupported. 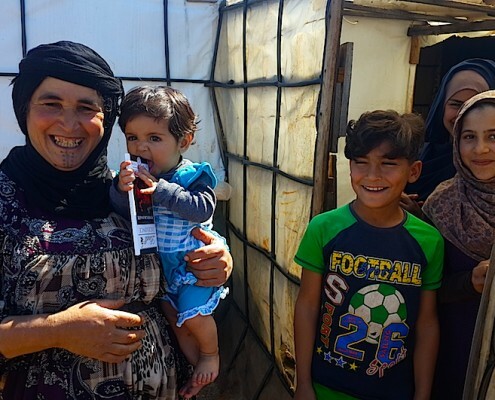 More over, the mega funds being earmarked for Syrian refugees (whether with a political agenda from the West or not) should go equally towards development of Lebanese and Syrians sharing these miserable conditions, and especially in terms of economic empowerment and job creation. In addition, it is obvious that development work should continue to focus equally on issues of general tolerance, gender equality, conflict resolution, and diversity in the same amount if not more than simply issues of Lebanese versus Syrian. Most importantly, the welcoming spirit of the simple poor miserable Lebanese should be much more recognized and applauded than is currently the case. 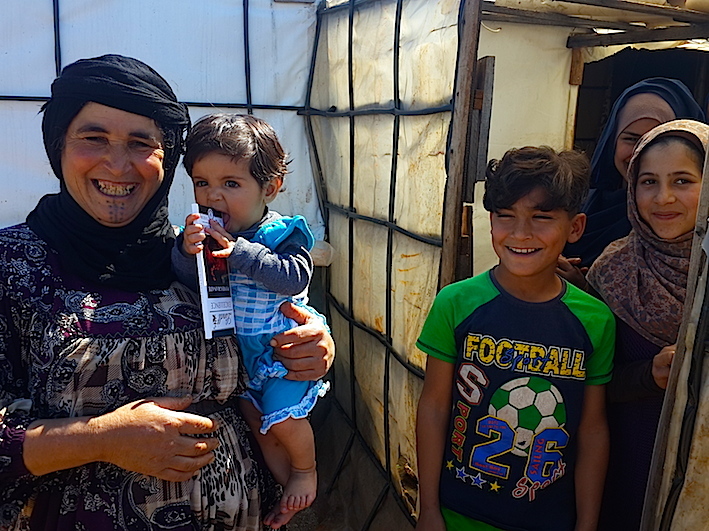 Many stories trumpet the Lebanese as unwelcoming and antagonistic towards Syrians; the reality of the vast silent majority does not appear to support that image. Why are the Lebanese so apathetic? Travel Alone!